Another case of religious influence in government has caused a kerfuffle in the San Diego suburb of La Jolla. A U.S. federal court has ruled that the presence of a Latin cross on public land is unconstitutional. The La Jolla case further reflects the perpetual struggle between right-wing religious conservatives and progressive secularists over the proper place for religious expression. Ultimately, there is good reasoning behind the principle of separation of church and state, not just in this particular case, but in all of them. 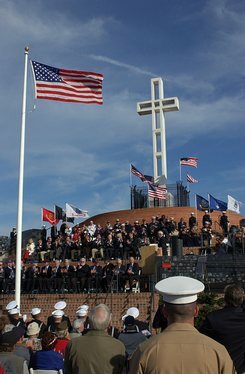 The cross, which stands forty-three feet tall, was constructed in 1954 on a parcel of public land dedicated as a memorial to veterans of the Korean War. Controversy over the memorial’s symbolism arose in 1989, and, in attempting to remove the structure, advocates of secularism and non-religion in the public realm have cited the “No Preference” clause of the Constitution of the State of California, which requires the state government to refrain from any action which would show preference of one religion over another. [T]he use of such a distinctively Christian symbol to honor all veterans sends a strong message of endorsement and exclusion. It suggests that the government is so connected to a particular religion that it treats that religion’s symbolism as its own, as universal. To many non-Christian veterans, this claim of universality is alienating. In addition, the court argued, the site of the memorial has had an historical association with the Christian faith tradition, further showing an inappropriate association between religion and government-operated facilities. The court also pointed out in its ruling that the site has traditionally been used for the celebration of Easter and has been known for some time as “Mount Soledad Easter Cross”. In addition, argued the court, the site only began to function as a war memorial after the dispute began. separation to explain the purpose of the First Amendment, and that historical data, context, and basic common sense support this position; another argument is that religious conservatives must agree that the Establishment Clause applies to state legislatures as well as Congress, because we can assume with confidence that these same conservatives would be the first to invoke the Establishment Clause if, for example, a particular state legislated sharia law or the tenets of the Muslim faith. So, no, it is neither fair nor valid to say that states can get away with legislating religion, but not with banning it; if we maintain that states can legislate religion, we must also maintain that states can ban religion, based simply on the syntax of the First Amendment. 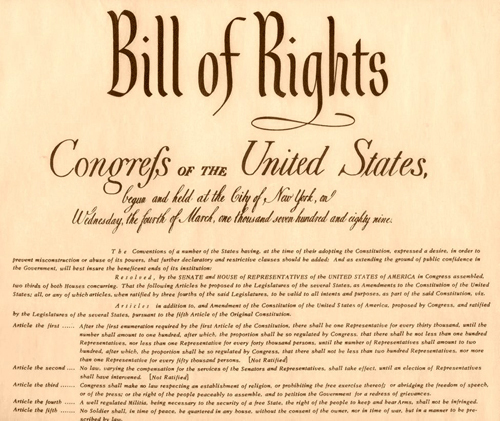 If freedom from state religion is a constitutional right of the individual—and for all intents and purposes the First Amendment seems to suggest as much—then it must also be protected from state tyranny under the 14th Amendment. Based on the above argument, it seems fairly straightforward that the First Amendment prohibits state endorsement of religion, and that the La Jolla memorial cross violates this prohibition. First, if the Establishment Clause can be used to excuse state endorsement of religion, it can also be used to excuse state suppression of religion—but the latter would never be allowed, so, to be fair, neither should the former. Second, the endorsement of religion by individual states can be seen as a violation the 14th Amendment, which bars states from curtailing the constitutional rights of the individual—including the freedom from religion implied in the First Amendment. But, as always, we are always glad to hear what our ministers ordained online have to say—should the La Jolla memorial cross be permitted to stay standing, or should it be taken down?